A collaboration between Willow Harvest Organics and Healing Spirits Herb Farm. 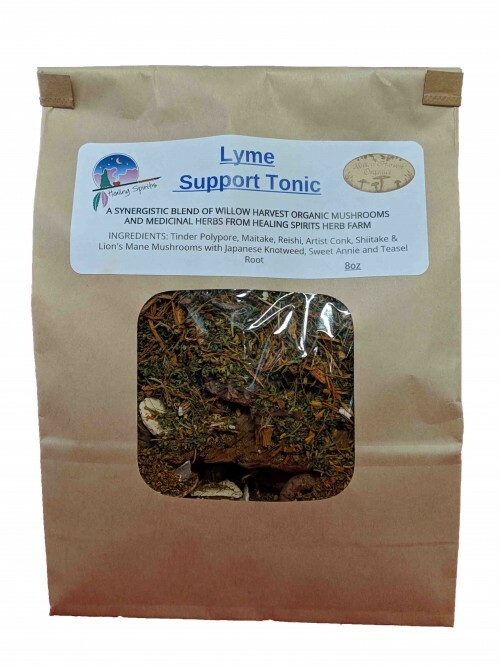 A blend of mushrooms and herbs you cook into a broth to boost your bodies defenses against Lyme. Ingredients: Turkey Tail, Maitake, Reishi, Artist Conk, Shiitake & Lions Mane Mushrooms. Japanese Knotweed, Teasel Root & Sweet Annie.